Their first four numbers are so heavy that it feels like an enormous metal anvil has fallen through the stadium. Titans of the 80's British Heavy-Metal revival and progenitors of contemporary Pop Metal Def Leppard have never let anything stand in their way, even their drummer Rick Allen losing an arm to a car accident. Overcoming this with a custom kit and a new style of drumming, the band surged on to create the album 'Hysteria', which hit 12 times platinum in US sales and sold over 20 million copies worldwide. The Sheffield natives are in no danger of slowing down and continue to tour relentlessly, filling stadiums to capacity and rocking as hard as ever. 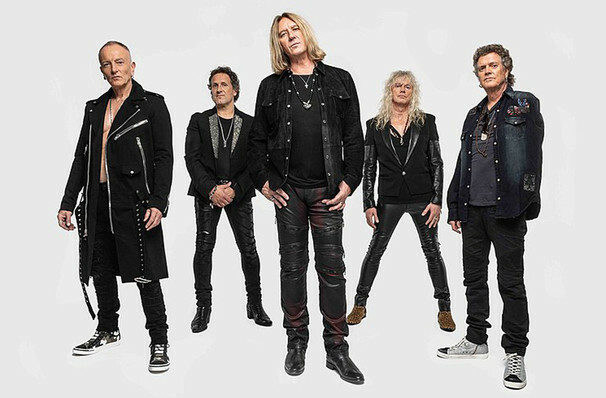 Lead singer Joe Elliot has lost none of his range and his gravel-toned vocals cut through the swathes of guitar riffs and solos that bolster each smash hit of a song. Expect fist-pumping anthems, swagger and an unforgettable night when they take on the US once more in 2019! Sound good to you? Share this page on social media and let your friends know about Def Leppard at Rogers Place. Please note: All prices are listed in US Dollars (USD). The term Rogers Place and/or Def Leppard as well as all associated graphics, logos, and/or other trademarks, tradenames or copyrights are the property of the Rogers Place and/or Def Leppard and are used herein for factual descriptive purposes only. 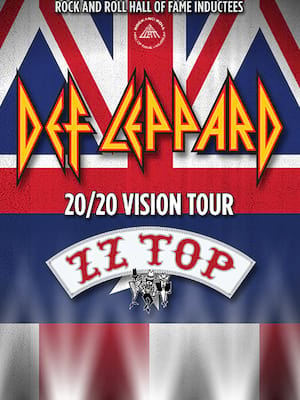 We are in no way associated with or authorized by the Rogers Place and/or Def Leppard and neither that entity nor any of its affiliates have licensed or endorsed us to sell tickets, goods and or services in conjunction with their events.